The custom sound driver are more able to show the rich sound details, the sound quality is pure, high frequency extensibility is good and the low frequency dive. The high-tech biofilm used in the earphones are very rare in sound trumpet structures. Good sound from high quality craftsmanship. 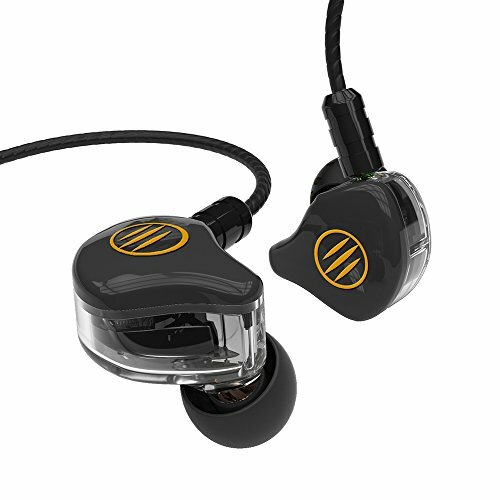 Medical grade PC material: The use of medical grade PC materials, safety and environmental protection, gold-plated metal LOGO with high light oil technology, make the LOGO and earphone integration. Professional acoustic damping. At the core of the dynamic Department affixed to a professional acoustic damping, after many debugging, making the overall sound pressure of the earphone more uniform and full. If you have any questions about this product by BGVP, contact us by completing and submitting the form below. If you are looking for a specif part number, please include it with your message.